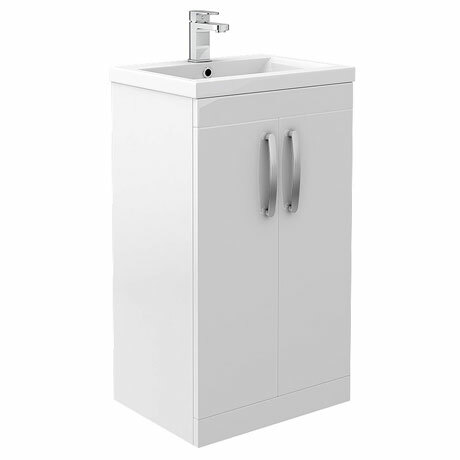 The Brooklyn floor standing vanity unit combines up to date looks with practical storage. This high quality Gloss White vanity unit is supplied with a smooth white gloss vitreous china basin. "Very nice unit, perfect height. Originally thought door handles where missing as could not find - taped under shelf." Nice basin But vanity unit doors have a wider gap than would like they could be closer together but all in all a very nice piece. Good height - you don't have to bend down to wash your hands.